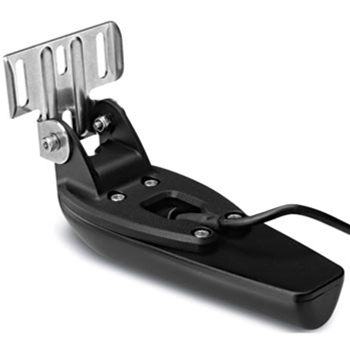 Reaching Depths of 1,900 feet with traditional 500W sonar and 750 feet DownVu this 77/200 kHz HD-ID Transom Mount Transducer provides ultra clear sonar images below your boat of objects, structure and fish. Built in Temperature sensor with 500W power rating. Compatible with Garmin echoMap 50dv, 70dv, GPSMAP 5x7, 8x0, 10x0 and 7600xsv Series. The GAX1208701 or 010-12087-01 has been replaced by the 010-01960-01.